This is the second part of a series of posts on Nexus 3 and how to use it as repository for several technologies. Also available is “Part 1, Maven Artifacts” by Rafael Eyng. npm install can take too long sometimes, so it might be a good idea to have a proxy in your own network. And if you can’t just pay the 7 dollars/month to host your packages in the official npm private registry, then you’ll probably benefit from this post. Check out the first part of this series to see how we installed and ran Nexus 3 using a single docker command. Just do that and the installation is done. A repository for npm packages that your team develops. The deployment policy “Allow redeploy” above might look somewhat polemic, so you might want to set it to “Disable redeploy”. 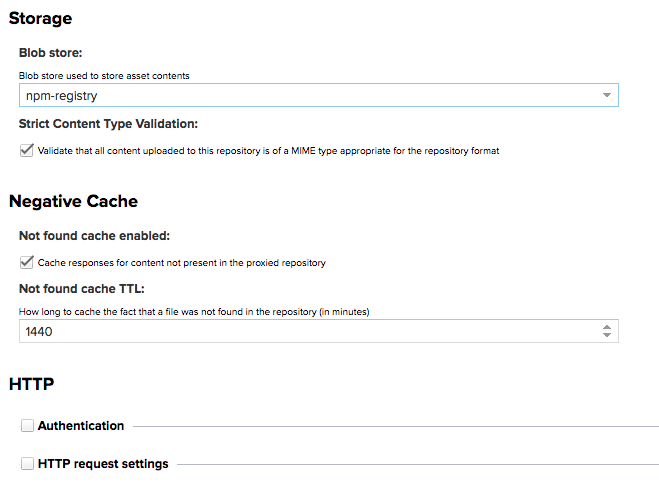 In my use case, it makes sense to use “Allow redeploy”, since we keep a latest version on Nexus always updated with the status of the master branch, that is redeployed in our CI flow. 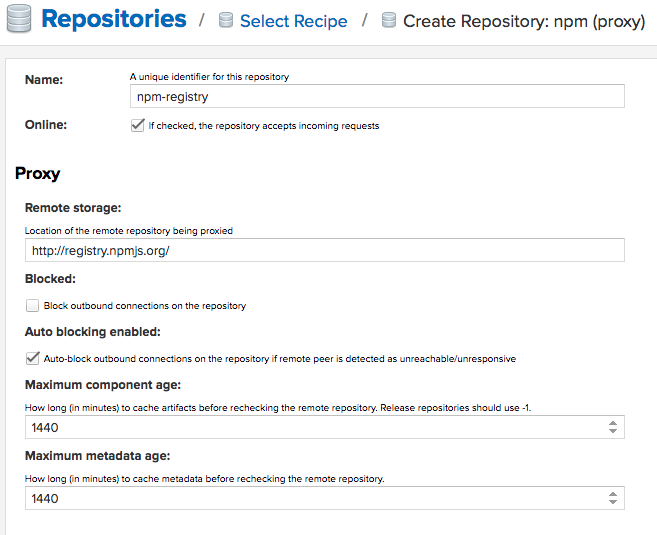 A repository that proxies everything you download from the official npm registry. Next time you download the same dependency, it will be cached in your Nexus. 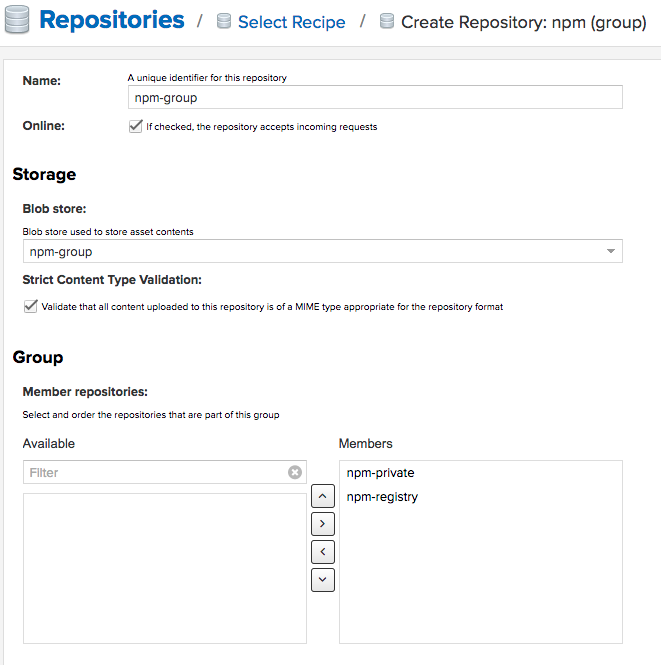 You can create as many repos as you need and group them all in the group repo, but for npm I don’t think that you will need more than 1 proxy and 1 private repos. For npm, we will configure the repository per project (unlike Maven, that have some global configs, for instance). I believe that you can configure the authentication globally in your machine, with npm addUser, but I didn’t went that way for simplicity. You have to set a user so you can publish packages. If you do this from your local machine, npm publish will use your user configured in ~/.npmrc (in your home, not in your project). 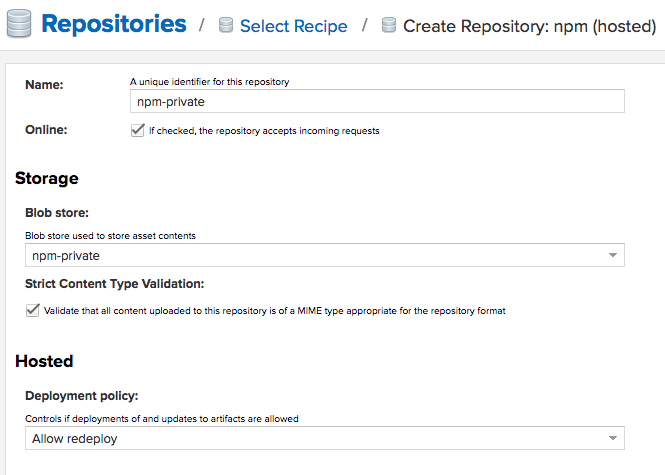 If you don’t have this configuration, or if you want to publish from CI, you can set an email=any@email.com configuration in your project’s .npmrc. Really, any email. Note that you publish to your private repo, but when you download, you can point to your group repo, so both your own packages and the packages from the official repo will be available from a single URL. your npm will point to your Nexus instance.